PRODUCT: L-12, L-SERIES STAPLE, 7/8" LEG X 1/4" CROWN, NARROW CROWN, 18 GAUGE, ELECTRO-GALVANIZED STEEL, BOX OF 5,000. Price/Box. 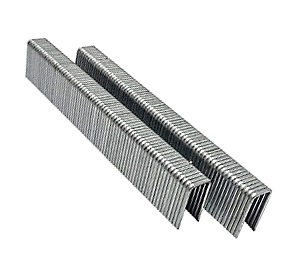 Wire Size: Width .050", Thickness .044"